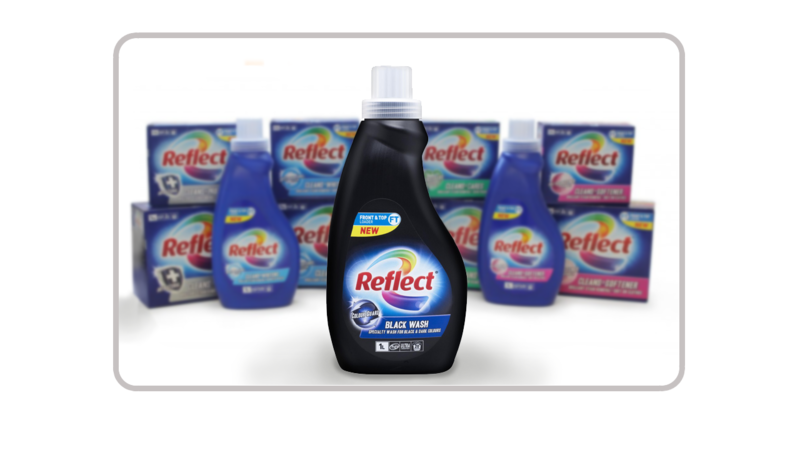 Reflect is a popular Laundry liquid brand on the New Zealand shelves. The brand required a non handled bottle, big label area and a customer specific cap. The final design is a robust but elegant looking design.